Tyson Jost and Dante Fabbro have been selected to play for Canada in the World Junior Championship. Dante Fabbro is back on the same team with Tyson Jost. The former Penticton Vees have been reunited with Team Canada for the IIHF World Junior Championship, which starts on Boxing Day. Fabbro and Jost are among the 22 players that make up Team Canada, which will be striving to win a gold medal. Fabbro said the days leading up to the final cuts were nerve-racking. Fabbro said camp was good, but tough. He’s soaking in the experience of meeting new teammates and getting to know the coaching staff. He is grateful for the opportunity that will allow him to pull the Canada jersey over his head and wants to work as hard as he can to prove himself every day. In practice, Fabbro has been skating with Kale Clague and Jeremy Lauzon. 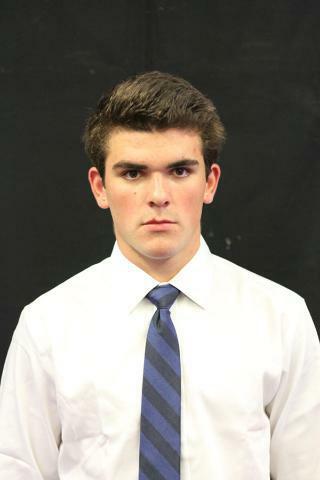 Fabbro, a Coquitlam product who plays for the Boston University Terriers, said the team is going to be really good. He feels they will surprise other teams with their speed and how quick they move the puck. “We’re a team to be reckoned with. If we keep moving forward in the right trend, we are going to make some pretty special moments happen,” said Fabbro, the Nashville Predators 17th overall pick in last summer’s draft. • Defencemen Jake Bean (Calgary/Calgary, WHL), Kale Clague (Lloydminster, Alta./Brandon, WHL), Dante Fabbro (Coquitlam, B.C./Boston University, HE), Noah Juulsen (Abbotsford, B.C./Everett, WHL), Jérémy Lauzon (Val-d’Or, Que./Rouyn-Noranda, QMJHL), Philippe Myers (Moncton, N.B./Rouyn-Noranda, QMJHL); and Dante Fabbro, at left, is a former Penticton Vees defenceman. • Forwards Anthony Cirelli (Woodbrige, Ont./Oshawa, OHL), Dillon Dubé (Cochrane, Alta./Kelowna, WHL), Pierre-Luc Dubois (Sainte-Agathe-des-Monts, Que./Cape Breton, QMJHL), Mathieu Joseph (Chambly, Que./Saint John, QMJHL), Tyson Jost (Kelowna, B.C./U. of North Dakota, NCHC), Michael McLeod (Mississauga, Ont./Mississauga, OHL), Taylor Raddysh (Caledon, Ont./Erie, OHL), Nicolas Roy (Amos, Que./Chicoutimi, QMJHL), Blake Speers (Sault Ste. Marie, Ont./Sault Ste. Marie, OHL). Jost, who has seven goals and 18 points in 17 games with the University of North Dakota, said the team possesses players with versatility. Jost has found some chemistry with Val-d’Or’s Julien Gauthier and Chicoutimi’s Nicolas Roy, but said who he skates with can change. Jost said being selected to play for Canada is humbling. In its opening game, Canada will face Russia at the Air Canada Centre in Toronto at 8 p.m. ET. Canada plays three pre-tournament games as part of the RBC Road to the World Juniors : Dec. 19 in Montreal against Finland, Dec. 21 in Ottawa against the Czech Republic, and Dec. 23 in Toronto against Switzerland. Extensive coverage of the 2017 IIHF World Junior Championship is planned by TSN and RDS, the official broadcasters of Hockey Canada, including Canada’s three pre-tournament games; check local listings for details.